Parker’s Automation Group is an industry leader in the design, production, and marketing of a full spectrum of quality pneumatic and electromechanical components and systems to provide force and motion and control for industrial, commercial, semi-conductor, mobile, marine and energy-related machinery and equipment. 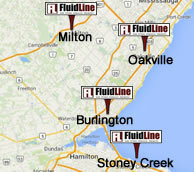 The Pneumatic Division of the Automation Group offers the following products and brands. 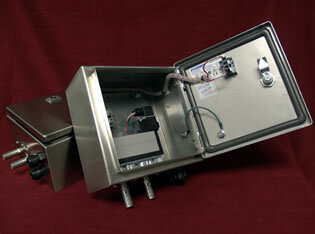 General Line Air Preparation Units offer piped ports from sizes 1/4″ to 2½”. Included in this line of Watts products are Particulate Filters, Coalescing Filters, Oil Removal Filters, Desiccant Dryers, In-Line Bronze Filters, Regulators, Pilot-Operated Regulators, Precision Regulators, Lubricators, QIX Modular FRL System, Integral Filter/Regulators, Combination Units, Relief Valves, Tank Drains, and Pressure Sensors. QUBE Modular FRL Systems fasten together with mounting blocks, plates, and brackets. QUBE systems offer sizes from 1/8″ to 1½”. Included in this line of Watts products are Particulate Filters, Coalescing Filters, Regulators, Lubricators, Integral Filter/Regulators, Combination Units, Valves, & all of the components required to modularize a complete system with any combination of parts. Miniature FRL Series offer piped ports from sizes 1/8″ to 1/4″. Included in this line of Watts products are Particulate Filters, Coalescing Filters, Regulators, Lubricators, Integral Filter/Regulators, Combination Units, and Relief Valves. Stainless Steel FRLs offer piped ports from sizes 1/4″ to 1/2″. Included in this line of Watts products are Particulate Filters, Coalescing Filters, Regulators, Lubricators, Integral Filter/Regulators, and Combination Units. Injection Lubricators are designed to deliver precise amounts of oil directly to the point of lubrication as required. To ensure proper lubrication, our injection lubrication products and accessories are available to cover a wide range of applications. The P3TJA Regenerative Desiccant Dryer, is the reliable, cost effective and flexible way to provide Clean Dry Air exactly where needed. Compressed air contains condensate which, when cooled, will turn into water, causing extensive damage to both the compressed air network and the finished product itself. PDRD refrigeration dryers actively remove this condensate to achieve near perfectly dry compressed air. All vacuum cups are manufactured at Parker’s ISO9002 registered factory. Parker suction cups are known for excellent wear resistance, consistent durometers, tight tolerances, excellent finish, and a wide variety of materials. It’s the QUALITY you expect and deserve. Parker offers a wide range of threaded fittings, rigid stems, and long lasting 303 stainless level compensators for all the cups. Parker stocks all sizes, all materials, and all connections for immediate delivery. Increase manufacturing through-put and efficiency with Parker venturi generators. Parker generators have the best response time, repeatable performance, and long life. Each generator is 100% tested for vacuum flow, vacuum degree, and response time before leaving the factory. Parker has consistently out performed the competition in many different industries. The integrated packages along with new device net and E-stop systems are real values to the customer. Parker stocks all the units shown below and can easily assemble any configuration for immediate delivery. Parker semi-conductor based pressure sensors with an integrated digital display include interfacing user-programming capabilities. Software integration supports the intelligent features that permit manual setting and adjustments by the operator. Selectable features include open or closed outputs, output functionality, switch point or high-low outputs, selectable units of measure, and more.